A WEEKEND TO SHOP, PLAY AND STAY IN JOHOR BAHRU WITH DOUBLE TREE BY HILTON | Locally known by its initials (JB), Johor’s capital city has come a long way from being a stopover town. Today, the bustling city stands proud as a major tourist, entertainment, commercial, shopping, and dining hub at the southern shores of Malaysia. 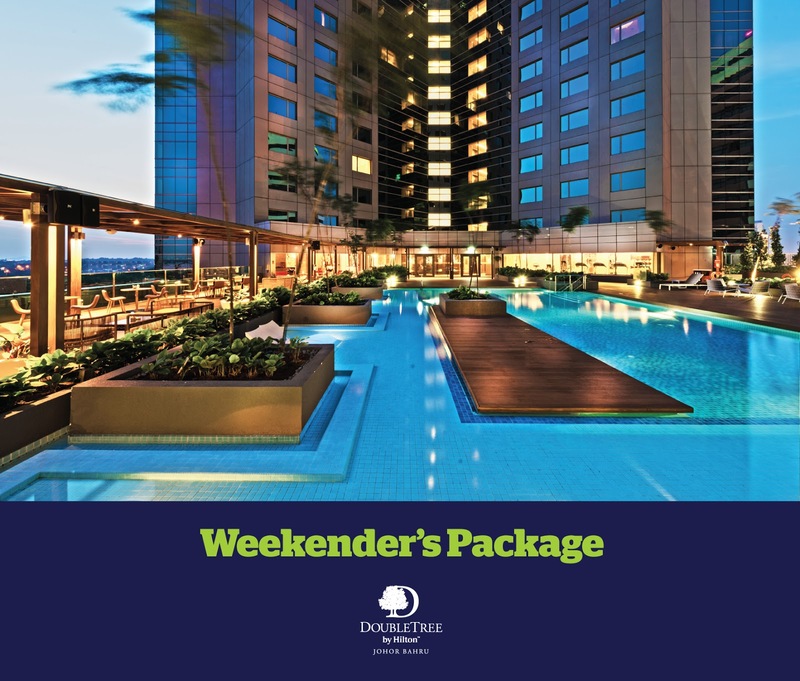 If you are looking for a weekend getaway with a lot of fun, a little culture, and all-round relaxation, look no further than a stay at DoubleTree by Hilton Johor Bahru with the Weekender’s Package. Here is a specially created itinerary from check-in to checkout to ensure your time is well spent with the best itinerary and spots the city has to offer. Your weekend stay with DoubleTree by Hilton begins right after work. Enjoy a warm chocolate chip cookie while you wait for your documents to be prepared, the brand’s motto where the little things mean everything is evident from the onset of your arrival. Come nightfall, unwind by the poolside with an authentic Italian dinner at TOSCA. If it is a romantic dinner for two or a hearty BBQ and grill dinner for a group of friends and family, it will either be an evening of fun and frolic for everyone. Food is fuel and you will need it for your busy day ahead. Head to Makan Kitchen, DoubleTree by Hilton Johor Bahru's all-day dining restaurant, for breakfast. Start your day right with a fill from the vast array of both Western and Asian fares. The marvelous Istana Besar, once the Johor royal family’s principal palace, was built to mimic Victorian architecture and style by Sultan Abu Bakar in 1866. The then-ruler was an Anglophile and decided to showcase it in full force through his palatial residence. Opened as a museum to the public in 1990, displaying the incredible wealth of the sultans in over 60,000 pieces, it is now the finest museum of its kind in Malaysia with a beautifully manicured 53-hectare verdant ground, and the best place to learn about the city. Entry is free. Home to Asia’s first LEGOLAND, the water park will excite the small kids, the crazy coasters will thrill the big kids, and the virtual reality roller coaster will be a reminder to everyone that it is never too late to let your hair down, age notwithstanding. Another interesting highlight lies at the heart of every LEGOLAND, where the much-loved true-to-life miniature version of Asia’s iconic landmarks are. Aptly named as MINILAND, it dazzles in every way as a magnificent masterpiece built with over 30 million LEGO bricks, featuring famous attractions from 17 Asian countries such as the PETRONAS Twin Towers, Singapore’s Merlion, India’s Taj Mahal, and even several of Johor’s own unique landmarks. 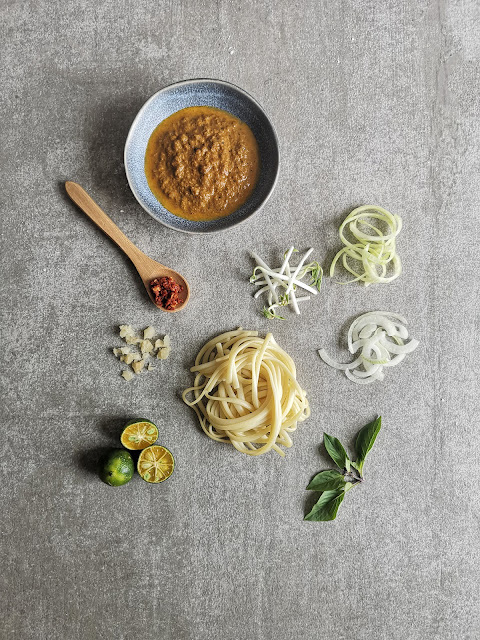 Stay in for the night after a full day out and learn to cook one of the most iconic culinary dish in Johor, Laksa Johor (a noodle dish of spaghetti; the Italian pasta, drenched in traditional Malay-style curry broth) with the in-house chef and dazzle everyone back home when you return with your newfound skill. 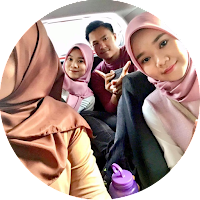 Shopping may very well be Malaysia’s favorite pastime and the proliferation of shopping malls in the country is proof of it. Known in recent years amongst Malaysians as retail paradise, JB has Johor Premium Outlet (JPO) to thank for its influx of visitors. That also means finding parking around the area would be an arduous, time-consuming task. Circling around block repeatedly to look for a spot will be a downer for just about anyone. The solution? Just head down to our friendly Concierge team and get them to arrange a taxi for you. Enjoy the ease of being driven to and from the shopper’s paradise, minus the hassle of looking for a parking spot. Located just 30 minutes away, it gives you the advantage of being in the heart of the city minus the crowd. 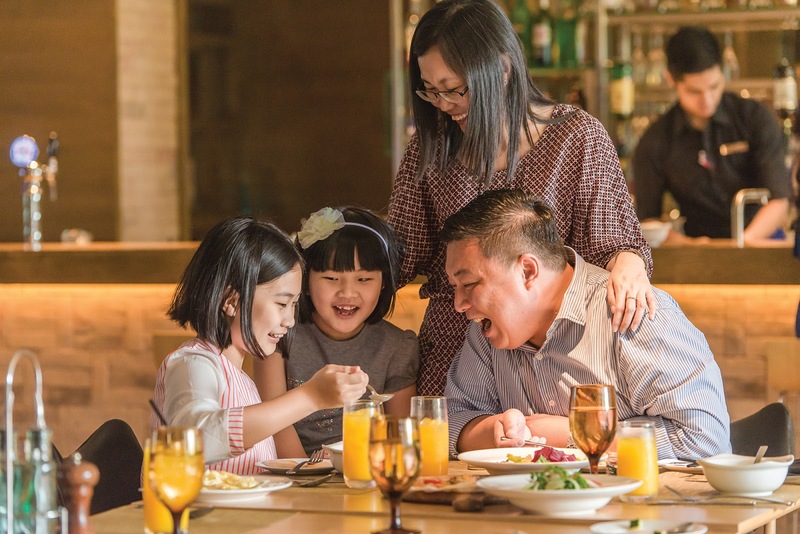 After a busy morning out, return to DoubleTree by Hilton Johor Bahru for an R&R and enjoy an all-Malaysian lunch featuring sumptuous Malay, Chinese, Indian and Peranakan dishes at the live cooking stations, before checking out. Better yet, stay on for the Hi-Tea Buffet, where a delicious selection of local favourites are served, before going back to the grind. P/S: Bagus juga ada pakage macam ni kan, satu Johor boleh pergi. Berbaloi juga tu . best kalau dapat bermalam kat Double Tree ni kan sis..
bestnya. bilalah blh stay tempat macam ni. hmmm.